The unfortunate truth of living in a part of the country that is exposed to all four seasons of the calendar year is that you are unable to grow as many plants and flowers as other warmer locales. The good news? You don’t have to be resigned to growing wonderful potted plants and flowers during the weather-friendly months of the year. Lindsay Windows make a plethora of great window options available to consumers, including a garden window that is as appealing as it is practical. A garden window affords you the opportunity to grow beautiful flowers without exposure to the elements and inclement weather. In addition, Lindsay has uniquely beautiful bay and bow windows, blinds in windows, patio doors, and a colorful array of paint options to choose from. 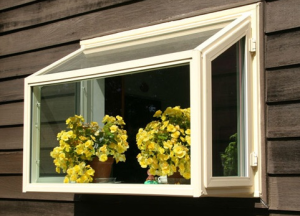 With the garden window from Lindsay windows, you can rest assured that your plants will receive ample sunlight and add a touch of decorative, bright décor to your home. The garden window also serves to highlight the flowers, putting them on a pedestal of sorts – a display for you and your guests to enjoy. When you have the experts at United Building Supply Inc. in your corner, you are guaranteed to have access to the best in exterior remodeling materials. Lindsay Windows is but one of our many valued collaborators that effectively allow us to offer the very best in materials to contractors and builders. If you are looking for the absolute best, you’ve come to the right place. Make your next job a resounding success with the help of our extensive collection of building materials! Visit us online today or give us a call at 920-564-3888 for more information. As we begin to enter the cooler months of the year, it becomes painfully apparent just how cold we can get inside our homes. Inefficient windows and aging components of our home can cause the indoors to be less than bearable. 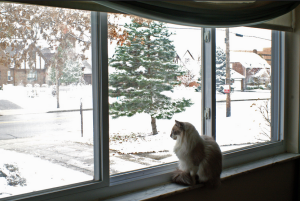 Here in Wisconsin the average high in November dips to a chilly 38º Fahrenheit, with a low of just 23ºF. December brings even icier temperatures, with an average high of 24ºF and an average low of 7ºF! But January is the month when it all comes to a head, and temperatures dip to a remarkably low 20ºF at the hottest point of the day, and just 1ºF at night. Suffice it to say, Wisconsin residents don’t spend much time outdoors when winter hits! Too often, residents of cold-climate regions do not invest enough in the insulation of their home. Their home suffers from sufficient protection from the elements, and they are forced to spend more money on their energy bills to stay warm. Fortunately, we at United Building Supply Inc. have the necessary insulation pieces that will help any home boost its ability to keep the cold air out and warm air in. Unlike the warmer summer temperatures, when the cool winter weather settles in you do have the option of layering and using blankets to keep warm within the home. But these strategies are not a permanent solution to an annual problem. Rather than face the elements with a less-than-stellar insulation setup, allow the experts at United Building Supply Inc. to get you the materials you need to see your insulation project to completion. In addition, we have products in numerous other categories, including decking, windows, doors, and trim! Don’t be left out in the cold this winter, buy your insulation products from us and keep warm!